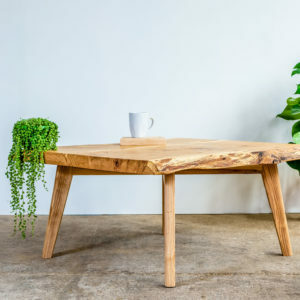 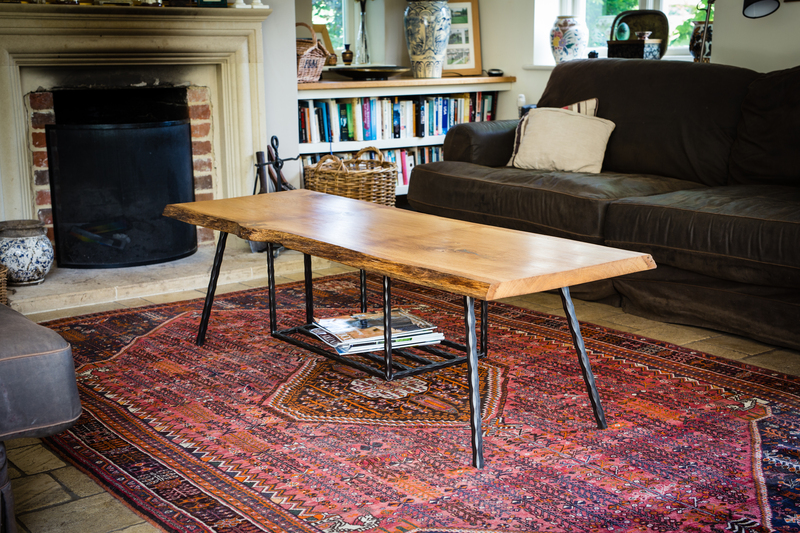 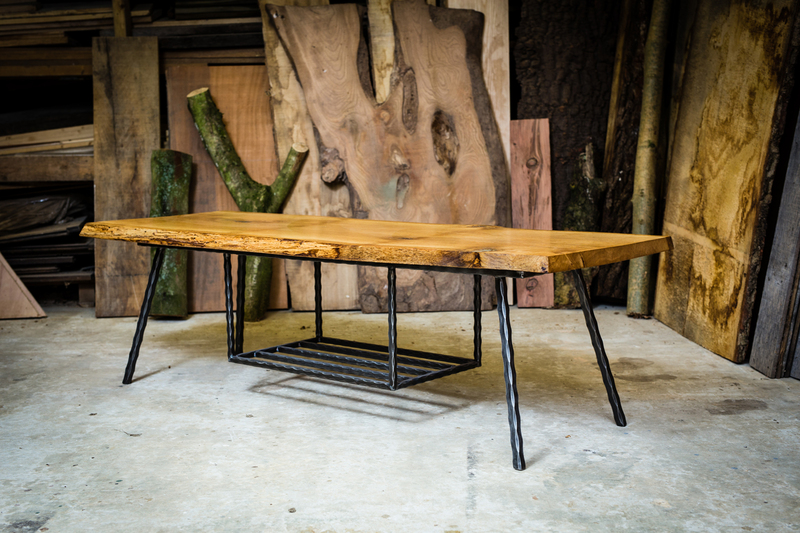 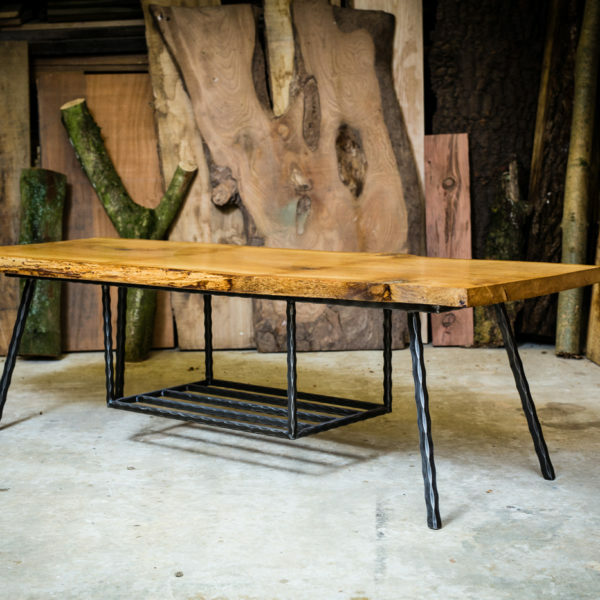 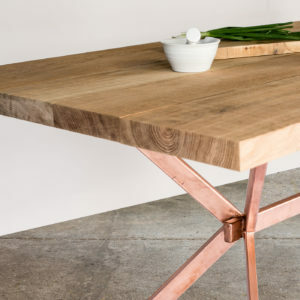 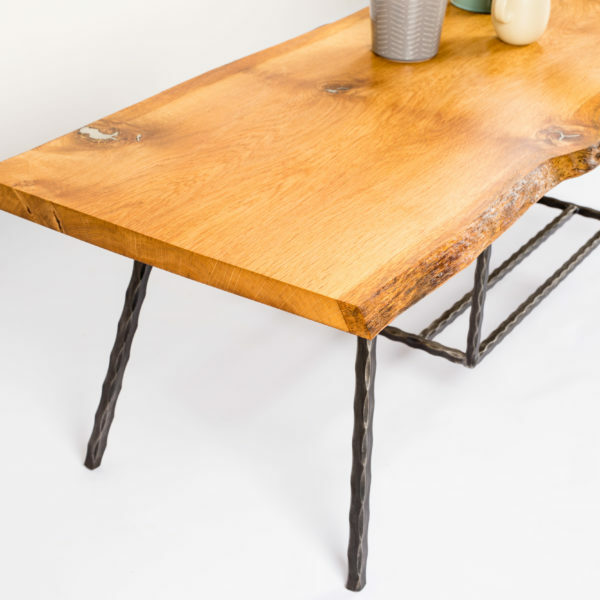 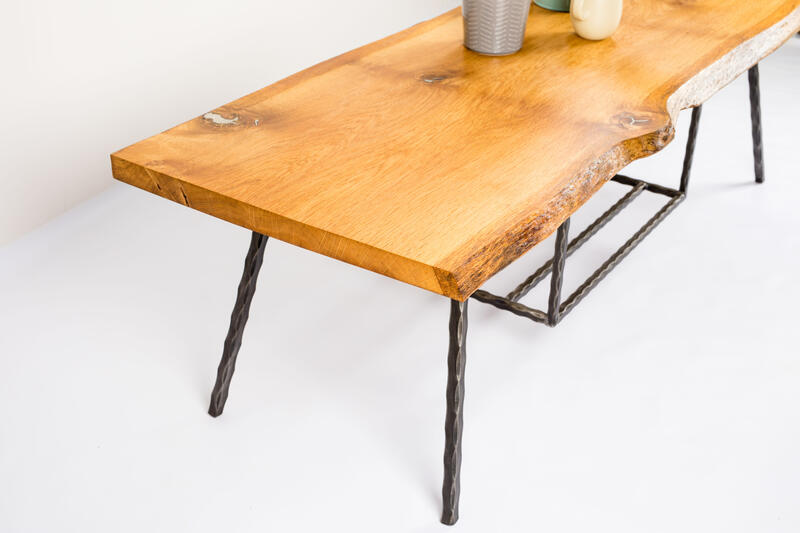 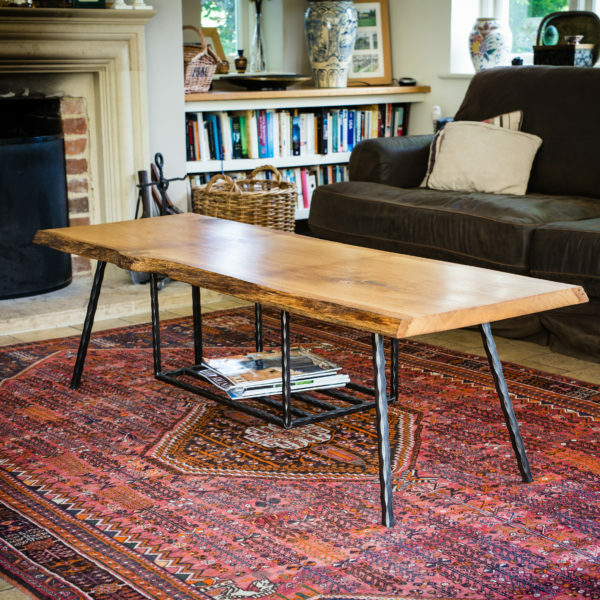 A slim, long-form table, showcasing an air-dried English oak slab with live edges and natural contours. 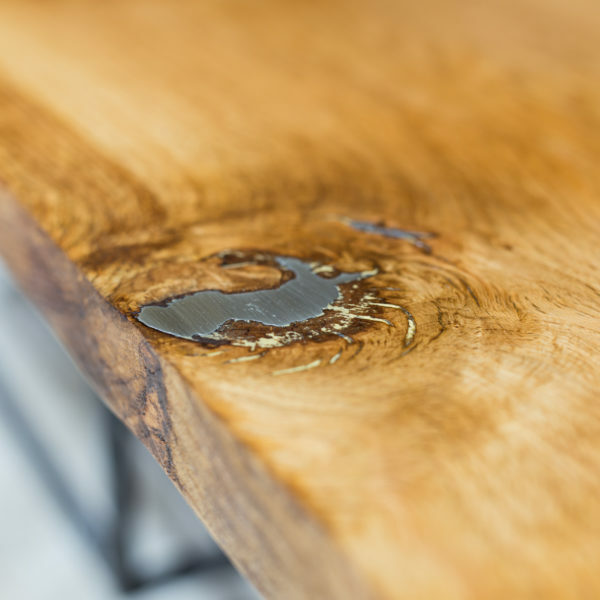 On top, a beautifully finished oak slab with live edges preserved on opposing sides. 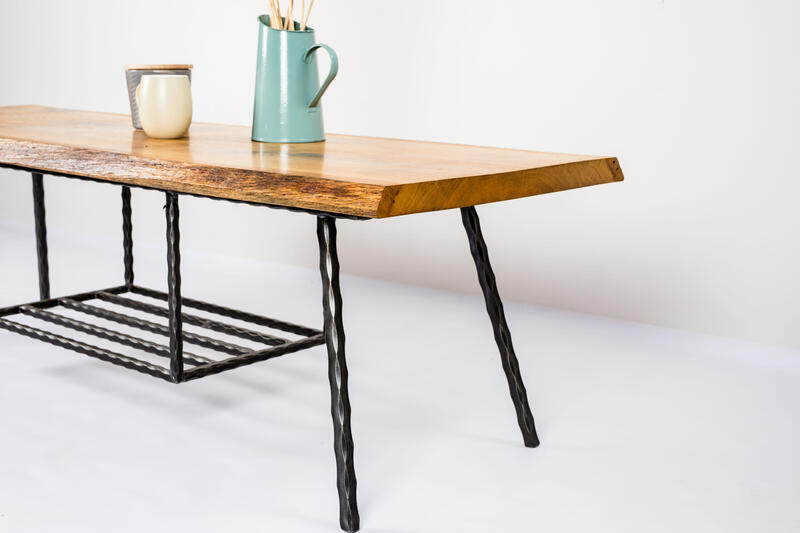 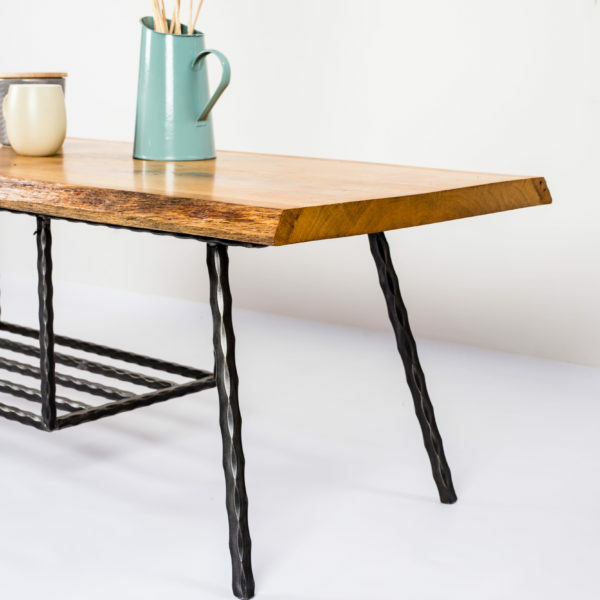 Below, narrow legs and a barred-rack are constructed from hammered steel with hand-fabricated tig weld joints. 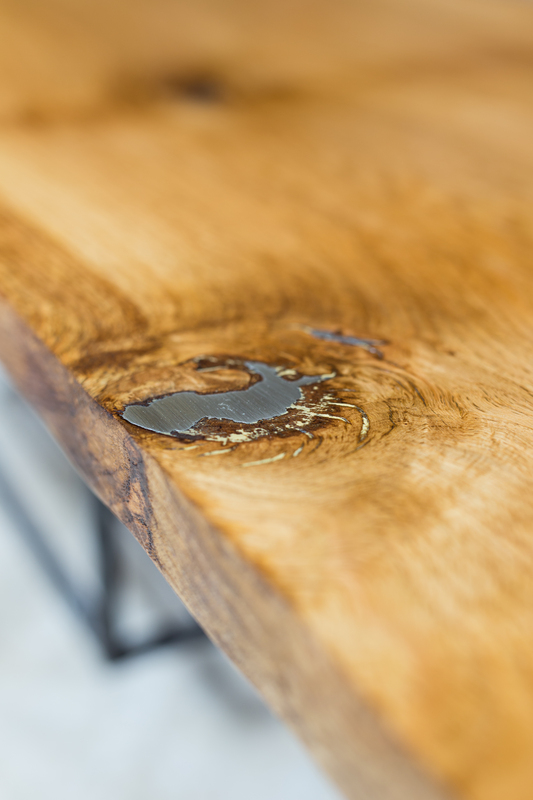 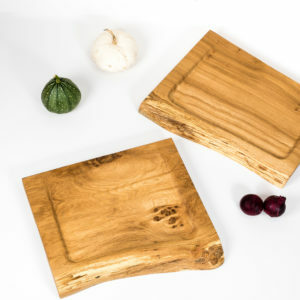 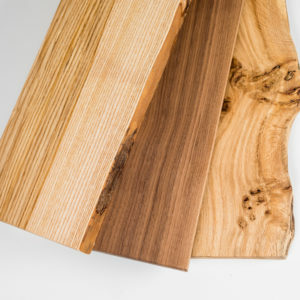 A hardwearing finish allows the wood to age gracefully and develop a natural patina. 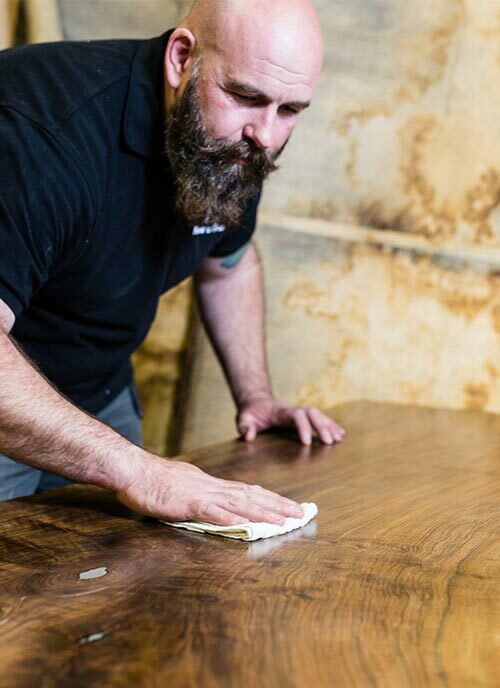 Please note the finish examples act as a guidline only, with each piece of timber varying slightly in tone.